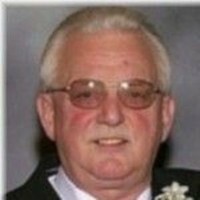 Glen M. “Butch” Frese Jr., 66 of Rock Island, died Thursday, May 5, 2011 at Trinity Rock Island. Funeral service will be held at 4:00 P.M., Monday, May 9, 2011 at Esterdahl Mortuary & Crematory, Ltd., 6601 38th Avenue, Moline with visitation following the service from 4:30 ~ 7:00 P.M. at the funeral home. Military honors will be provided by the Moline American Legion Post 246. Cremation rites will be accorded after the funeral service. Memorials may be made to Quad City Animal Welfare Center. Glen was born on June 14, 1944 in Moline to Glen M. and Charlotte Exbom Frese. He married Cynthia Carlson on September 18, 1966 in Moline. Uncle Gleno was employed with Case IH, East Moline retiring in June 1996 after 30 years. He was a very proud Vietnam Veteran with the Navy. He was a proud member and supporter of the Democratic Party. He was a member and committeeman of the UAW Local 1356, East Moline and member of the Moline American Legion Post 246 and Moline VFW. Glen was a past South Moline Township Tax Assessor. Glen loved his family, friends, dog “Levi” and all of his pets. He was an avid Chicago Cubs and Bears fan and enjoyed golfing, fishing, gambling at the Isle of Capri and debating politics. The family would like to thank the Doctors, nurses and staff on 4th Floor South, the ICU at Trinity Rock Island, and special cousin, Beverly Ducey for all of their care and support. Click here to see Glen's last Profile entry.